For information on the Beara-Breifne Way or to provide feedback/report issues go to www.bearabreifneway.ie. Please note that the trail is very new and work is still being done on its development. For queries on the Ireland Way it is recommended to join the Ireland Way Facebook group page where other members and recent hikers share their experience, tips and advise. For general trail queries, feedback on the Ireland Way book or website, please fill in the contact form or email caroline@theirelandway.ie. 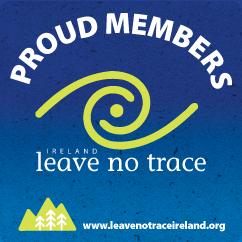 For wholesale or licencing please please fill in the contact form or email caroline@theirelandway.ie.